Monument commemorating the liberation of Vielsalm on January 17 945. Located at: Rue de l’Hotel de Ville, Vielsalm in the Province Luxemburg in Belgium. 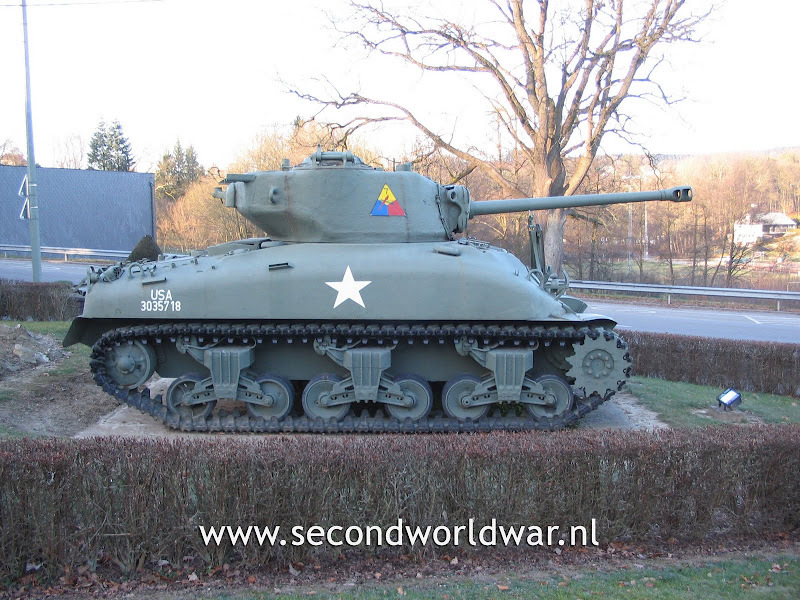 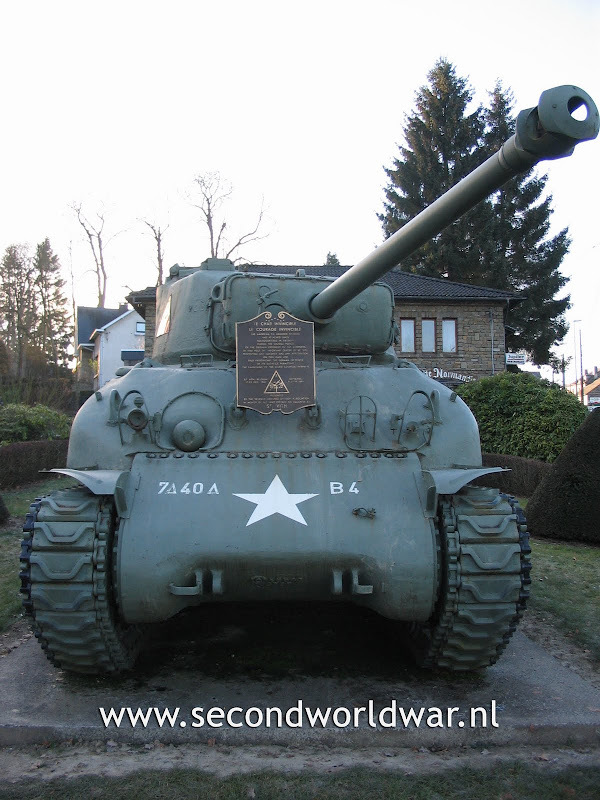 M4A1 Sherman tank of the 7th Army in Vielsalm width plaque on the front side. 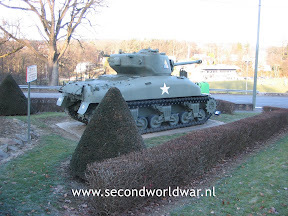 Located at: Rue Vieille Chavée, Vielsalm in the Province Luxemburg in Belgium. The American 7th Armored Division and attached units headquartered in Vielsalm during the crusial period of the German offensive of the Ardennes in 1944 held the important center of st. Vith preventing any advance and any exploitation on this main line. Thus frustrating the German offensive by it's sacrifice permitting the launching of the Allied couter offensive | St. Vith, Belgium 17-23 Dec. 1944 | Dedicated 9 june 1984 | Presented by the seventh armored division association in honor of all who fougt so valiantly at St. Vith. 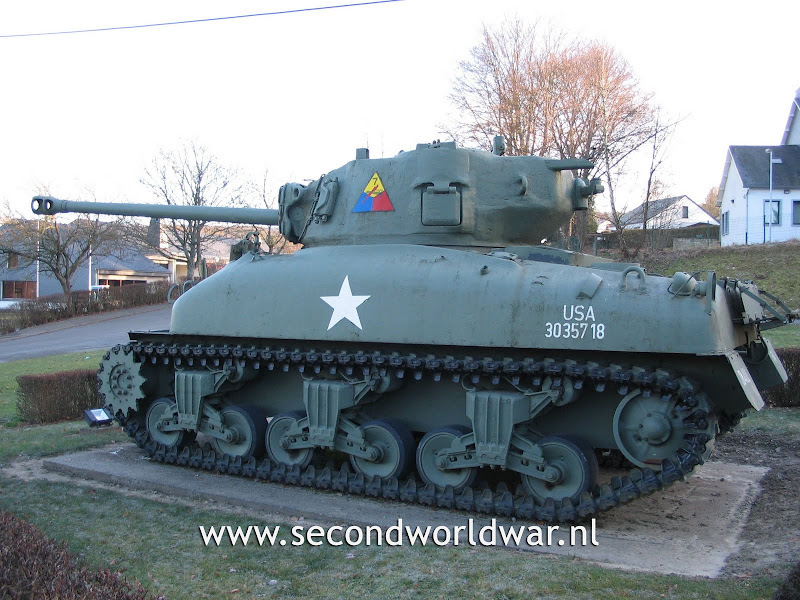 All the above pictures where made by the webmaster.